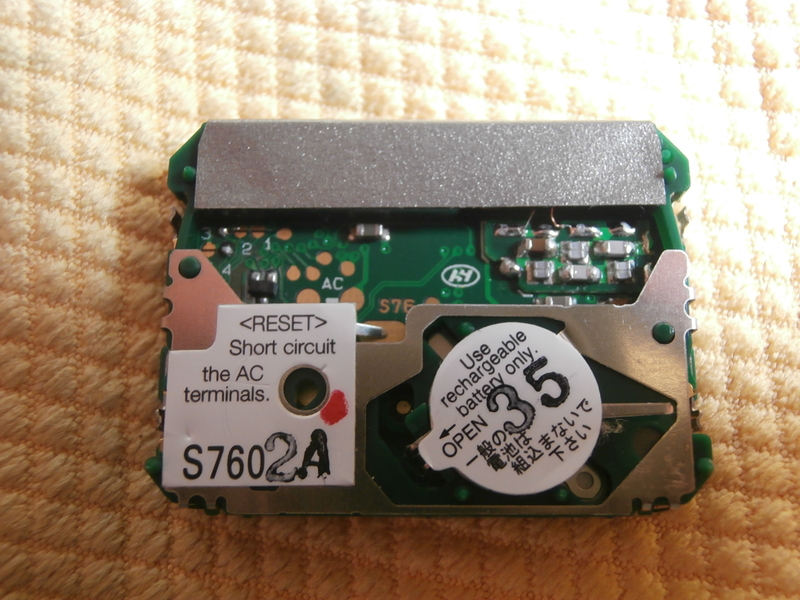 After some years of use of my Seiko SBPG001 (module S760) the capacitor was starting to fail and I tryed to replace it. This watch use a Panasonic CTL920 but with a special metal connector (impossible to find for me it in this configuration). I bought an standar CTL920 (used in any Casio G-Shock) and tryed to replace it. I removed the metal connector of the old battery and put it with the new (wihout welding). Firt the watch recovered the three bars in the screen charge indicator but latter rapidly get down to two bars. Really the watch it's not charging because when it's in sleep or power save mode and I put it in the sunlight the screen don't turn on again. After some months of use the new battery definitely dead (It don't receive power charge). I think that is problem of the new battery, but it's almost impossible to find the original spare (this is a seiko japanese domestic market model). Any idea? Thank you.